The guys just next door to isTia, have just released in Irvine (Southern California) a cable through Business Wire regarding their involvement in South African skateboard… Today, Joe Maloof announced the launch of the Maloof Skateboarding Global Initiative to promote skateboarding as a positive, active lifestyle for youth, contribute to education and build healthy communities. The initiative kicks off in December with “Skateboarding for Hope,” a 10-month tour and outreach program across the Provinces of South Africa. The tour leads up to the first ever Maloof Money Cup World Skateboarding Championships in Kimberley Sept. 30-Oct 2, 2011. The Global Initiative continues Maloof Skateboarding‘s mission to bring skateboarding to communities around the world and work in partnership with local governments to leave permanent skate parks behind. The goal is to provide a positive activity in which kids and youth can participate, keeping them off the streets, away from crime and inspiring a new generation of skateboarders, all while giving back to each community it touches. The Skateboarding for Hope tour, supported by the Northern Cape Provincial Government, began December 4 with an awareness campaign aimed at raising the visibility of skateboarding and identifying local talent to compete in Maloof Money Cup South Africa. The kick-off includes visits to 17 Northern Cape towns over a two-week period and will continue in February 2011 with Leg Two of the tour that begins in Cape Town with pro demos, skate clinics and contests. Throughout the tour, Maloof Skateboarding, the Provincial Government and their partners will be donating thousands of shoes, decks and skate gear to provide underprivileged youth in South Africa the opportunity to take up skateboarding. In addition, an AIDS benefit concert will be held during the Maloof Money Cup South Africa. Stay tuned for the official announcement on the 2011 Maloof Money Cup U.S. tour cities and dates. The launch of the South Africa “Skateboarding for Hope” tour and the 2011 Maloof Money Cup U.S. circuit come on the heels of an incredible year of growth for MMC in the United States. In 2010, the Maloof Money Cup expanded to two events, traveling to Queens, New York and becoming the first contest to leave a permanent skate park in the community. “When we went to New York last summer, we left a skate park behind for the community, but we also hosted demos and giveaways with local elementary school children and gave back to a program that uses skateboarding in their curriculum,” said Maloof. “We saw firsthand how skateboarding can help underprivileged kids in so many ways and wanted to continue that in South Africa where the need is even greater." 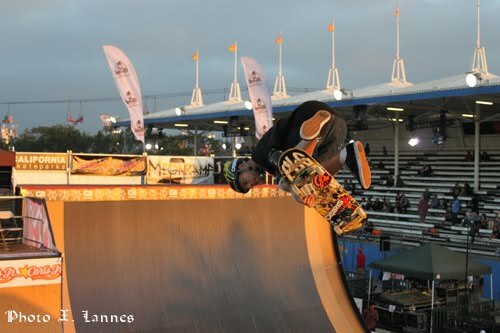 The two events drew nearly 300,000 attendees and live webcasts of the events broke records for skateboarding contests with over 400,000 fans tuning in. For the first time, FUEL TV aired the contests live and FOX Sports featured special one-hour programs that earned an audience nearly double any other televised action sports event for young males under 34. Airing in 60 countries and 14 languages, the TV coverage, combined with extensive year-round publicity efforts, garnered an incredible audience of more than 15 billion worldwide. Maloof Money Cup is the world’s premiere showcase for amateur and professional skateboarding. 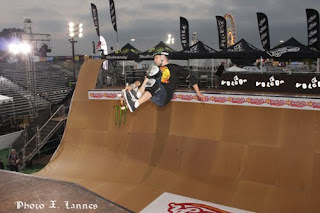 In 2010, the Maloof Money Cup presented by Vans hosted two events, one in Orange County, Calif. and expanded to Queens, New York, building a world-class skatepark that was donated to the community after the contest. Join our network to share the competition experience with a global audience and be the first to know about exciting upcoming MMC news and exclusive contests. Go to www.maloofmoneycup.com and follow us on Facebook and Twitter: @maloofmoneycup. That's another skateboarding news from isTia.